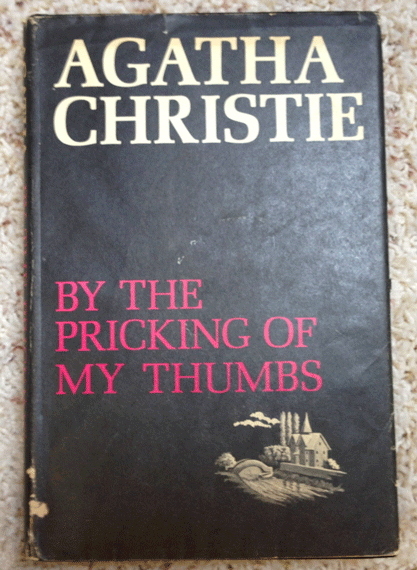 This is a Book Club Edition of Agatha Christie's By the Pricking of My Thumbs.It has the initials "P.B" written on the inside front page in pencil. 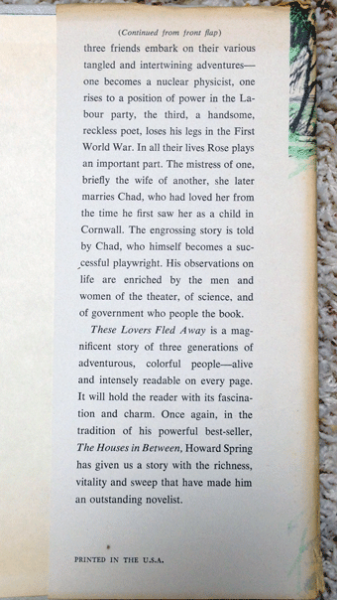 The edges of the book were printed ragged on purpose - this was the fad of the time - publishers felt that it made the pages easier to turn. The inside pages are clean, but the edges of the pages have yellowed, and it has that lovely, dusty old book smell that people like me for some reason adore. I believe this book is a First Edition. 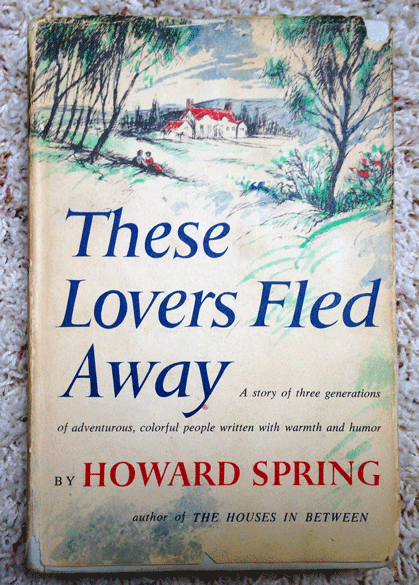 The book cover has not aged well, but it did a good job keeping the book itself safe from damage. This book a a good 45 years old. There are more pictures of the book below. 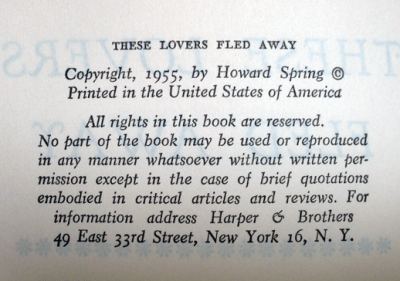 This book was published by Harper and Bothers, and the only date on it is the copyright, 1955. 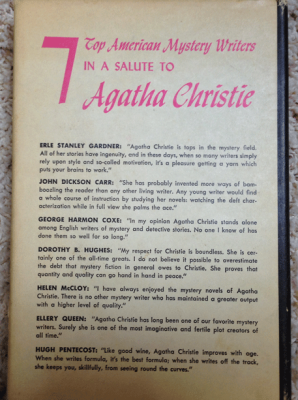 The book jacket has not bourne the years well,, but the book itself appears to be in good condition. 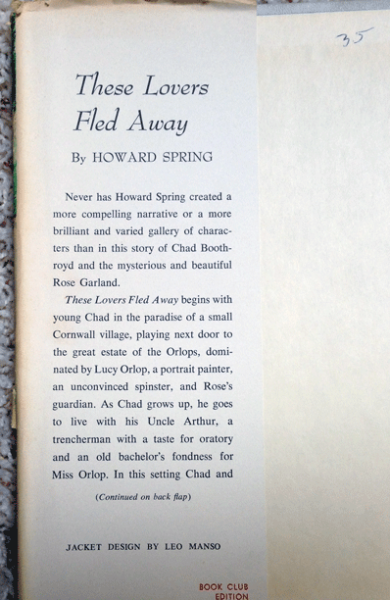 It has the old dust scent that books get over time, and the edges are yellowed with age. 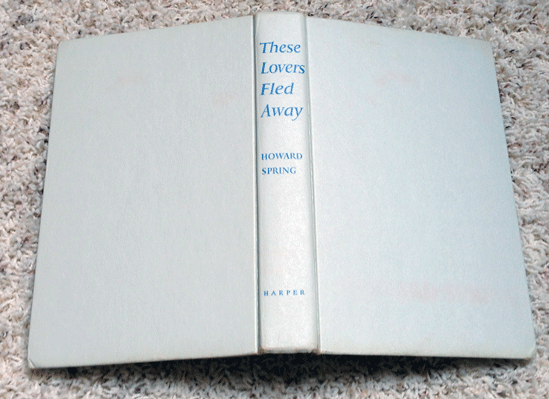 The edges of the book were printed ragged on purpose, to make it easier to turn the pages. The number 35 is written in ink on the inside front cover. I believe this is a First Edition. This book is at least 45 years old. You can find more pictures of the book below.